So...... do I finish a half-something that's languishing in the WIP bag, or look for something new and exciting to cast on in 4 ply? What would you do? Share your words of wisdom (or single skein 4 ply patterns) folks, please! I'm having a similar problem. I have solved it by casting on an aran weight cowl that I had the yarn for in order to make a Christmas present. Two birds, one stone! That doesn't help you of course, but I think 22 Clouds would look ok in sock weight just done at a looser gauge. 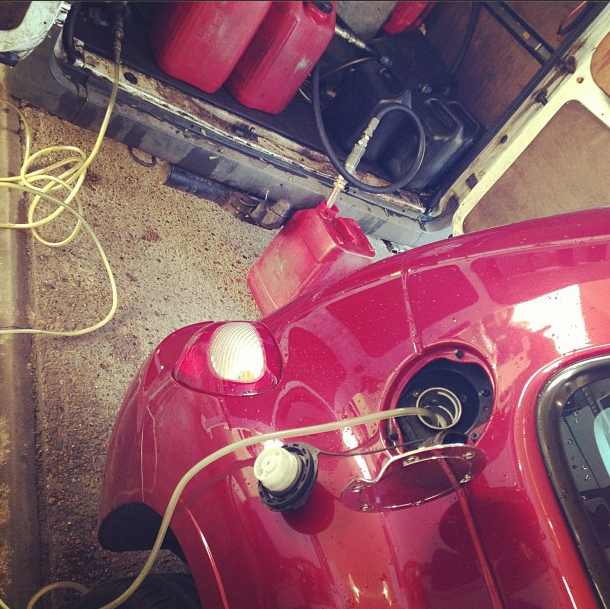 I remember seeing your photo on instagram about the wrong fuel, its mistake that can be made...hope your car is ok! Know the feeling of having lots on the hook/needles and still looking at Ravelry....that is my life....and I may have just ordered some more yarn for two more 'now' projects....oooppps! Oh I have lots of half something's! I am totally loving that expression Sarah really made me smile. Oh no on filling car with wrong fuel I seriously thought I had done that at 8 this morning half a sleep but realised I was safe hope your car will be ok.
Oh that little buds jacket... Oh dear, I think half-itis might be catching! I would say to press on with some of the WIPs, or unravel any that are really cheesing you off. By finishing some languishing projects you'll get a heightened sense of satisfaction before moving onto something new. You are so sensible!!!!! Thanks for your advice (I may not heed it, but thanks !!!) That jacket is completely gorgeous, isn't it!!! Oh no! Wrong fuel? Ouchie! I'd say finish a WIP and then CO a new project. That cartoon had me crackin' up b/c it's so true. Finish the half thingamy's...then you get that FO happy squueeeeeeeeness!! I thought of that!!!!! Sadly it would result in clown barf as they are mostly different mixed colours! Umm I was going to suggest the same as Tink Edwards. No other inspiration I'm afraid.